Plug connection between the wall plate. Firm structure, the wall and foundation is fixed. Has good performance of heat insulation and heat preservation. 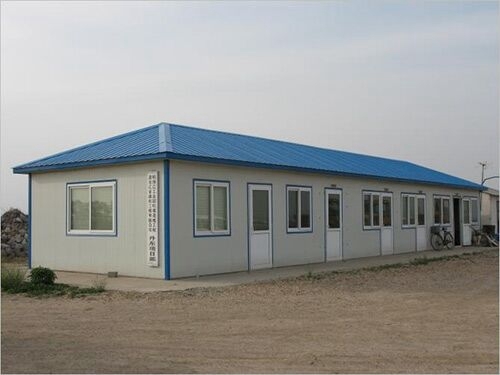 Easy installation, the standard room can be finished by 4 people in 4 hours. Water Proof, anti-corrosion, seismic and environmentally friendly products. Bright color, beautiful appearance, without any further decoration.